This post is sponsored by Universal Sony Pictures Home Entertainment. 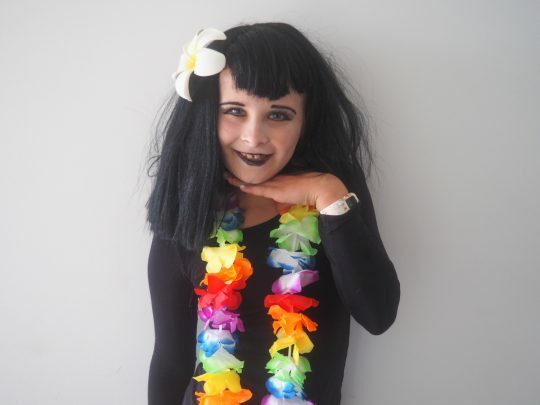 Halloween is just around the corner and boy oh boy is it gaining more and more popularity over the years! 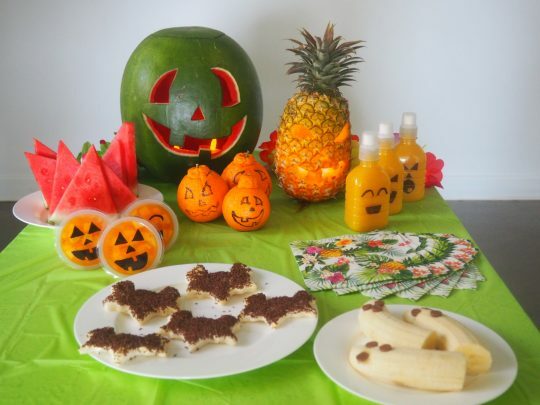 We love an excuse to get dressed up and throw a party to celebrate Halloween and this year we decided to share some ideas for a kid friendly party based from our favourite monster movie – Hotel Transylvania 3: Monster Vacation! 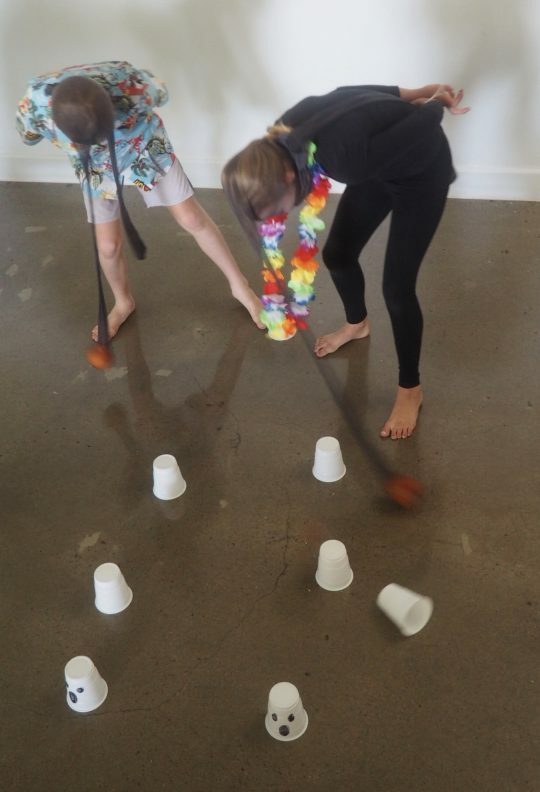 We’ve got everything covered to host your own party – including some awesome minute to win it games for the kids (and adults) to play, plus food and easy dress-up ideas! Also, to celebrate the release of the new Hotel Transylvania 3: Monster Vacation (available now on Digital and on 4K Ultra HD, Blu-ray & DVD October 17 – just in time for Halloween!!) we’ll be giving away a stack of DVDs! *Head to the bottom of this post for all the info on how to enter. 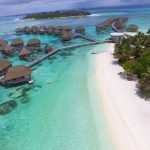 If you’ve not yet seen Hotel Transylvania 3: Monster Vacation you’re in for a treat! The movie is a HUGE hit with our kids and the perfect (non-scary) movie to watch as a family on Halloween night. It’s based around our favourite (& lovable) monster characters that we all know and love. Mavis convinces her vampire Dad Drac to take a much needed holiday and we watch them embark on a hilarious monster ocean cruise. Without giving anything away, we meet a new character, Ericka, who is the captain of the ship and Drac’s new love interest…it’s not all smooth sailing as we discover Ericka is hiding a secret that could destroy all of monsterkind. Let’s get into party mode! 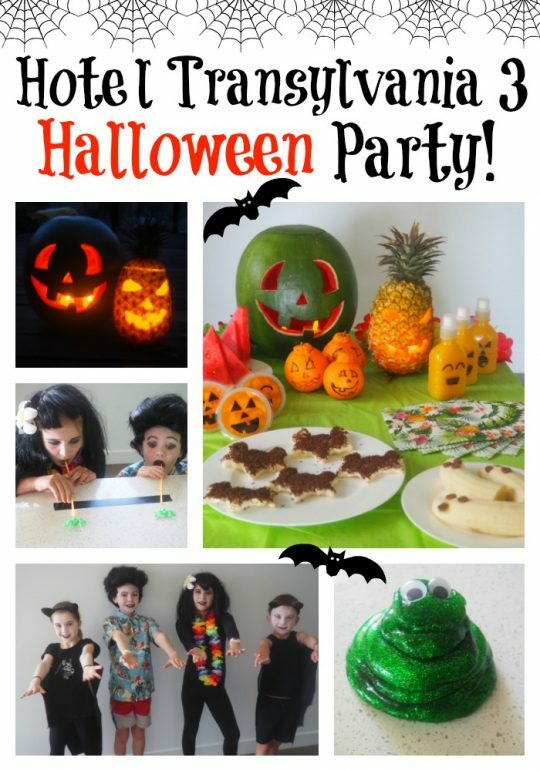 Check out all our party ideas for hosting your own Fun Hotel Transylvania Themed Halloween Party for Kids! 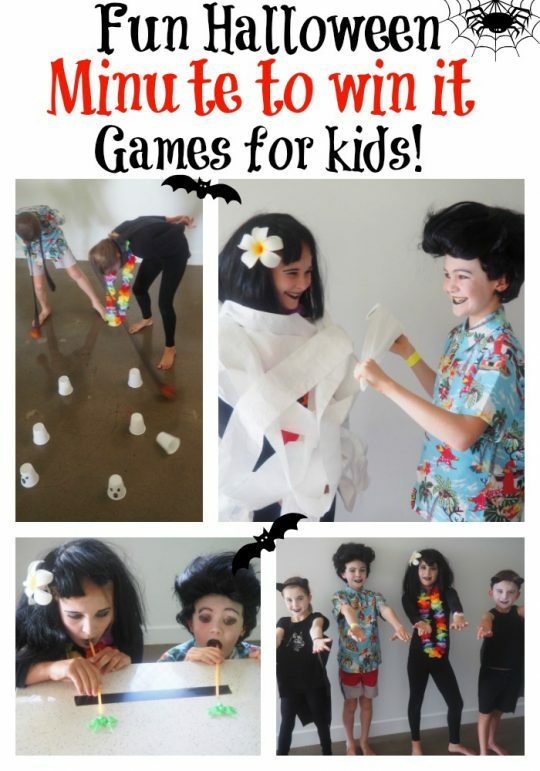 Halloween Minute to Win it Games! Everyone loves minute to win it games! They are easy, simple, inexpensive and most of all fun! 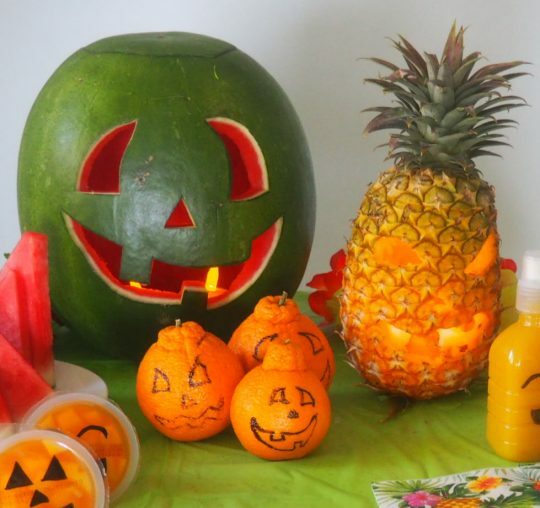 We’ve put together a few ideas that you can do at home for your special Halloween party. Players get in to teams of two. One player has a toilet roll and has one minute to make their partner look like a Mummy! 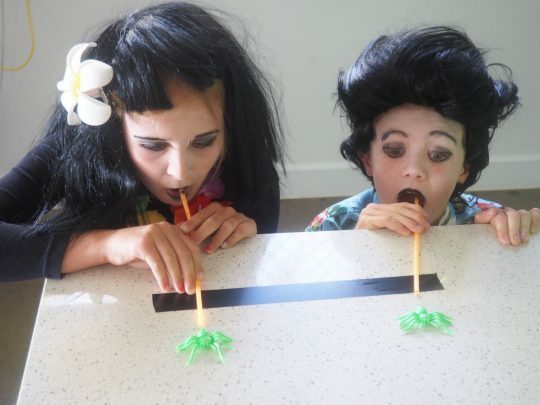 Players have one minute to blow plastic spiders over the finish line using straws. This will get some guaranteed giggles! Crank the stereo with the Macarena song and players have one minute to show off their best Macarena moves (you just might find some of the characters doing this in the movie). Players have a pair of stocking with a mandarin placed inside. The stocking is places on the players heads and players have one minute to knock over as many spooky cups as they can! Players get into teams of two and have a Halloween bucket between. 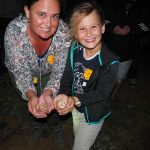 Teams have one minute to get as many ‘eyeballs’ (ping pong balls with eyes on them) into the bucket as possible! Players have one minute to land as many plastic spiders as they can onto a ‘web’ (which can be purchased from the $2 store). 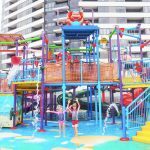 Hotel Transylvania 3: Monster Vacation Name-off! Players have one minute to name as many characters as they can from the movie (both character and actor names are counted). Blobby features in some hilarious scenes within the Hotel Transylvania 3: Monster Vacation movie! 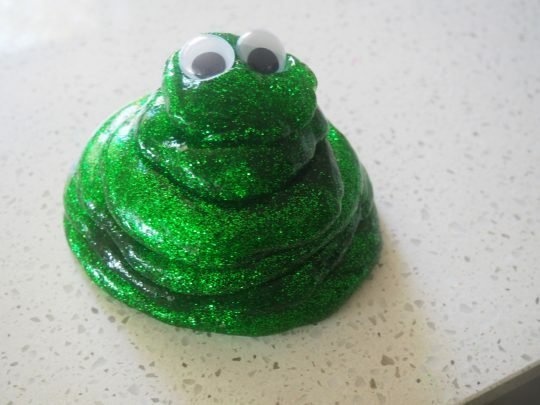 Our kids loved playing with this slime we based off his character. 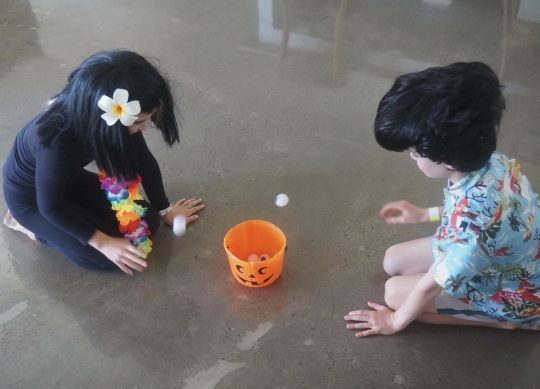 Let’s face it…slime is ALWAYS fun at a Halloween Party. Watch the full video tutorial below. 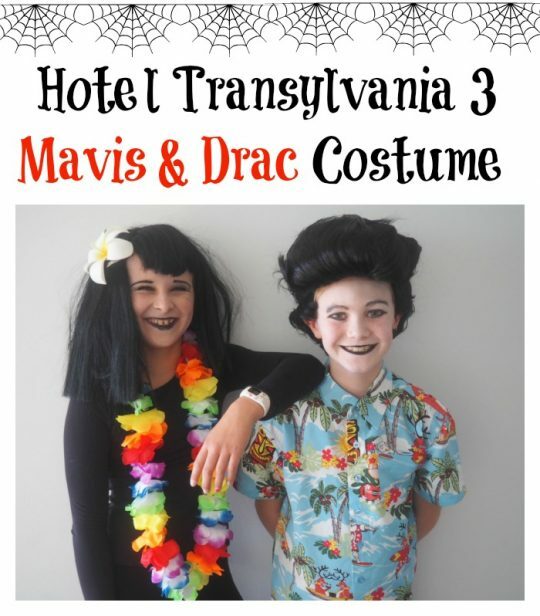 Easy Drac & Mavis Costume Ideas! 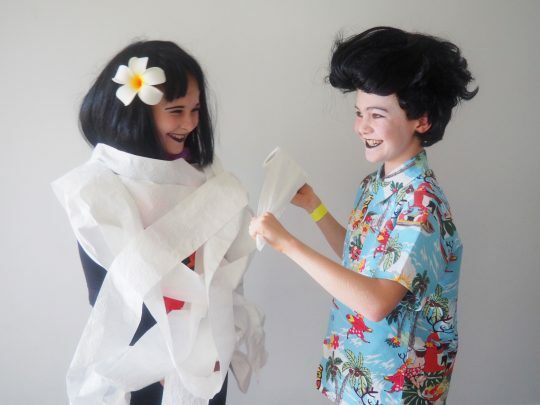 Our two eldest kids (both aged 10) decided they wanted to dress up as the two main characters for Halloween this year. Putting the costumes together was super EASY! 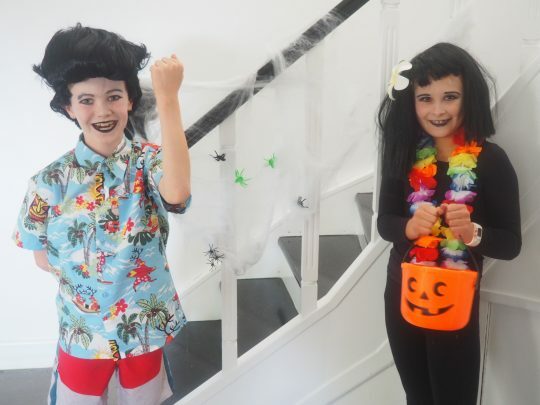 Throw together a couple of wigs, make-up and tropical attire and you’re good to go! How to make a Bat Costume in under 10 minutes! Our youngest two kids (aged 6 & 7) choose to dress-up as the bat versions of the main characters. Of course they didn’t tell us until the morning of the party!! 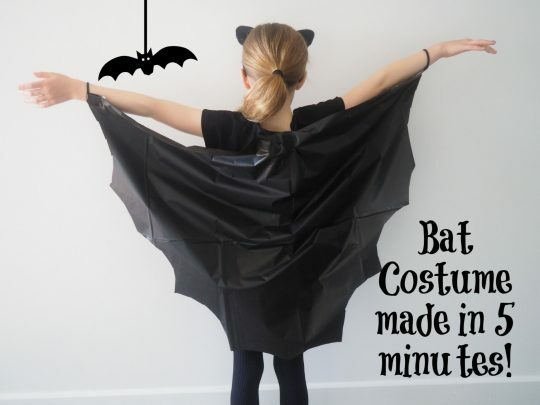 We put our heads together and came up with this super easy bat costume using some black tape, black plastic table cloth and a couple of hair ties! We used some cat ears that we found at our local $2 shop but they could easily be made using some black felt and a head band. The kids LOVED playing in their bat costumes. Simply fold the plastic tablecloth in half, cut the wing pattern and tape a hair tie to each end to loop around your child’s wrist. 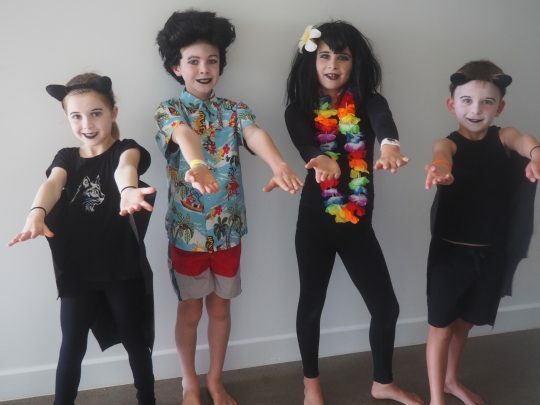 We dressed our kids in black and added a little make-up for extra vampire bat flair. 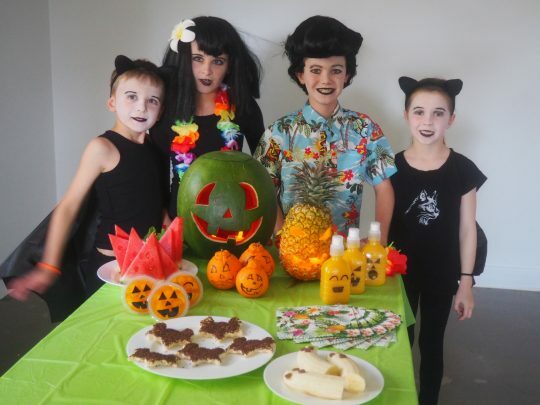 Going with the tropical theme from the Hotel Transylvania 3: Monster Vacation movie we chose to carve a watermelon and pineapple instead of a Halloween Pumpkin! We saved the flesh from both and made some healthy smoothies for the kids. 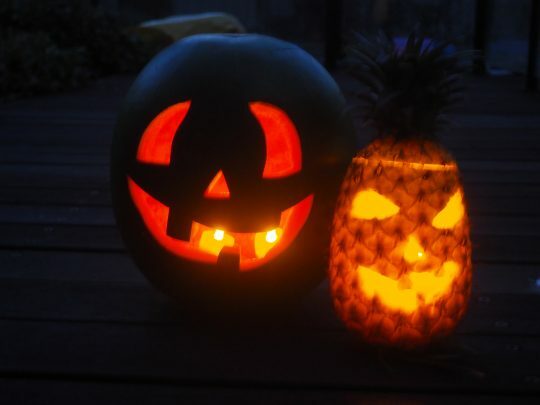 I found it was a lot easier to carve these than a Halloween pumpkin and better value too! We love how they lit up at night! 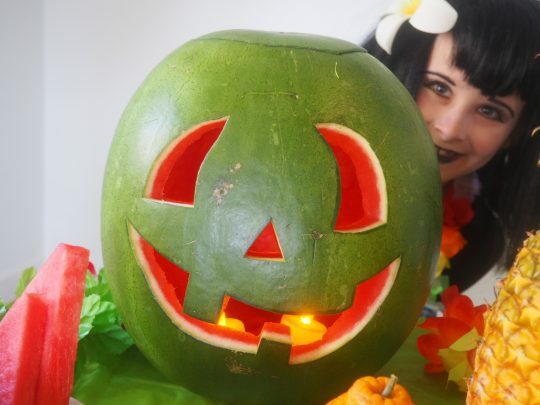 I would recommend you carve them on the same day as the party (unless you have loads of room in your refrigerator) as they do start to decompose quickly. If you ask us, every party needs food to match a theme. Our Halloween party was no different. We’ve made this simple and fun for the kids to help to make too! Cut a banana in half and add some chocolate buttons for eyes and a nose. So cute! 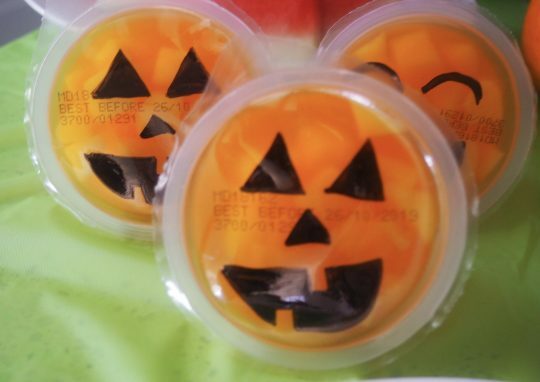 You can buy orange jelly cups from the supermarket – use a sharpie to draw on some spooky faces an you have a super fun party treat! 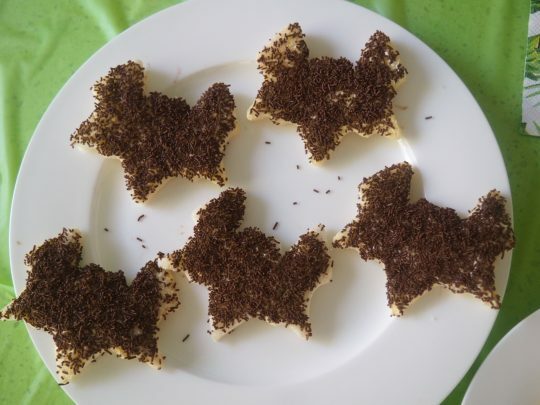 Cut bat shapes out of slices of bread using a cookie cutter then sprinkle with chocolate sprinkles! 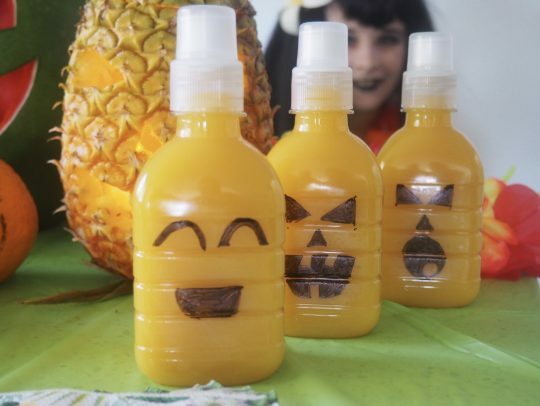 You can buy small bottles of juice at the supermarket – peel off the label and draw on a spooky face (are you sensing a theme here?). So good and the kids just love it! 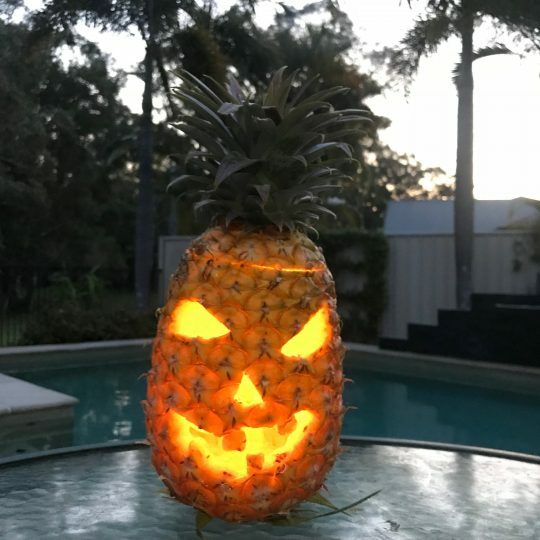 This is a great idea if you’re planning to go trick-or-treating on Halloween. 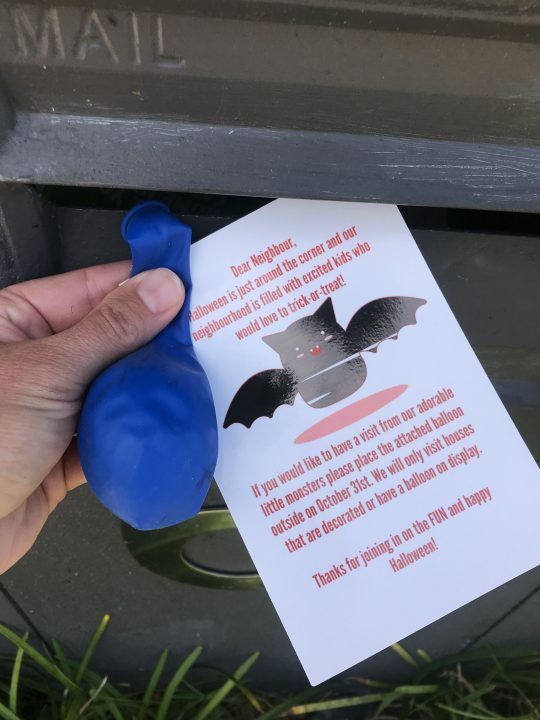 Simply print this letter with a balloon and drop in your neighbour’s letterbox – get them ready and involved in your neighbourhood Halloween celebrations whilst also giving them the option to opt out. Get the free printable here . 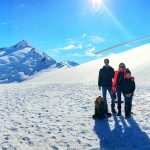 *So who is looking to WIN a Hotel Transylvania 3: Monster Vacation DVD? We have 5 copies up for grabs! Entry is FREE and easy! Creatively answer this question in 25 words or less – “Who is your favourite Hotel Transylvania character and why?” Post you’re answer in the blog comments. **T&Cs apply. Good luck, but most of all… Happy Halloween!! Entering the Giveaway: To enter you must answer our question. You are able to only enter once via each entry option for this Giveaway. Entries close at 11.59pm Sunday 28th October, 2018. Do not submit duplicate entries or addresses as this will not improve your chances of winning. Use of Entrant Information: Any information you fill out for this Giveaway will not be used for any other purpose except to notify you if you are the winner. 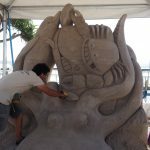 Drawings: The winners will be selected based on the answers to the competition question. Prize: 5 winners will each receive 1 copy of Hotel Transylvania 3: Monster Vacation on DVD. Eligibility: Each email address may win only once. The Giveaway is open only to legal Australian residents 18 years of age or older. Paging Fun Mums is not responsible for (1) typographical errors, misdirected or incomplete entries; or (2) computer or telecommunication system failures or similar disruptions to email services and/or the Internet. This promotion is in no way sponsored, endorsed or administered by, or associated with, Facebook. 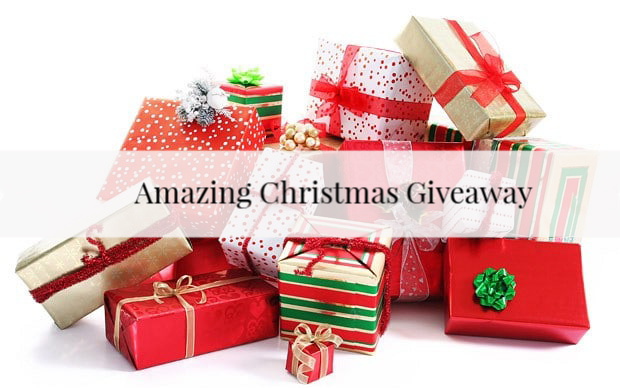 Any personal information entered via the entry form is solely for the use of contacting the giveaway winner and is not for or accessible to Facebook. « How the Crock-Pot Express Crock Multi-Cooker saved us from our meal time rut! It has to be Drac he may be a overprotective dad but he has all the moves and does all the right things he is so funny. It has to be Blooby that cute green blob who is so cute and he just wants to be included so adorable. Mavis for me; droll comes in all kinds I’m happy to say. Johnny. We love that he takes everything in his stride & doesn’t sweat the small stuff. He also has some pretty funny lines too. Mavis, because she reminds me of my eldest daughter who loves to wear dark clothes and make up. Even my sister calls my daughter Mavis for a nickname!! Drac, he is hilarious. My hubby thinks he is as funny as Drac. And a dad you can’t beat! Mavis, she’s an awesome mum & I love her attitude! We love Dennis – so full of life and his own style – even at such a young age. Trying to chill out and look after himself is about as easy for Murray as it is for this Mummy right here!! Jonathan, because he is accepting of others and has taught Dracula, how to so as well! Blobby is the cutest, funniest little guy with a huge heart and caring nature- definitely my favourite! We love Mavis, she is a level headed and fun girl with a heart of gold. She’s one hell of a spunky werewolf! Wayne the werewolf as I feel his pain and I only have the one terror! Thanks for the ideas!The kids are gonna have a great time! Answer from my little boy. Blobby. He is fun and squishy like me. I would love to hold him. MAVIs is our favorite character! MY five year old loves her style! Blobby Blobby your the best. So much better than all the rest. I love Wayne, trying to control all his werewolf pups but they just do what they want. It’s like me with my two bush babes. I love Dracula, he is so dramatic and funny. blah blaah blah blah blaaah.. I don’t say that. Whinny! And the little werewolf girl who’s in love with Dennis! I love how much she cares about him! My favourite character is Blobby. I love when he gets seas sick and throws up a smaller little green blob. Drac. It’s fun to watch my 8 yr old trying to copy his dance moves. Such a unique style. Drac reminds me of my dad, a little overprotective but will do anything for his family, plus he’s hilarious! Dracula is super funny gets the whole family laughing even the one year old sits still to watch. Great for a family movie night. Blobby because he melts into a puddle when its hot.Thats how we feel living in Townsvilles heat melted blobbys everywhere! Griffen the Invisible man, he is one of the most entertaining and heartfelt person for a character you literally never see..
My favourite character is Drac… bleh bleh bleh…. because he most certainly does not say bleh bleh bleh…. Mavis she is one Hot Vampire who will never age and everyone adores her. The fact that he is 99% naked and gets away with it all the time… takes no-pants day to a whole new level. My favorite is Blobby he so chill and reminds me of my niece because she loves slime so much. Dracula – not afraid to do what it takes to get what he wants! Dracula is my fave because he is funny and his facial expressions are awesome, also voiced by adam sandler who is hilarious! We love the toothy Drac, he is such a funny guy! We’d love him as our Grandfather – we so wish we could fly!! I love Drac because “Blah Blah Blah”. The kids love him! I love him! And his entire motley crew of monsters love him too.